Hello Tek community! We just have a quick bit of news to share about our portfolio company Lucyd. They’ve launched a new programme to bring affiliates all over the world into the #Lucydfam. The programme is free to sign up, and gives participants cash payouts when their network purchases from Lucyd via their affiliate link. Lucyd is also offering large cash bonuses to affiliates who introduce brick-and-mortar retailers to the brand. The goal of the Affiliate Programme is to grow the Luycd community around the world, increase sales, and get the Lucyd name into physical stores. To this end, Lucyd has created a reseller “Intro Kit,” which contains all of the materials a shop needs to start selling Lucyd frames, including two Lucyd Loud units, for just $129. They are available on direct order from info@Lucyd.co, and they will be targeting lifestyle, fashion and sporting stores, as well as optical retailers. If you’d like to become a Lucyd affiliate, head to Leaddyno and contact info@Lucyd.co with any questions. If you’d like to read the press release, it’s here. The new programme was also highlighted on Proactive Investors. Thanks for reading and take care! The Intro Kit contains two Lucyd Louds, an 18×24 inch window cling, a countertop display, and a print catalog. 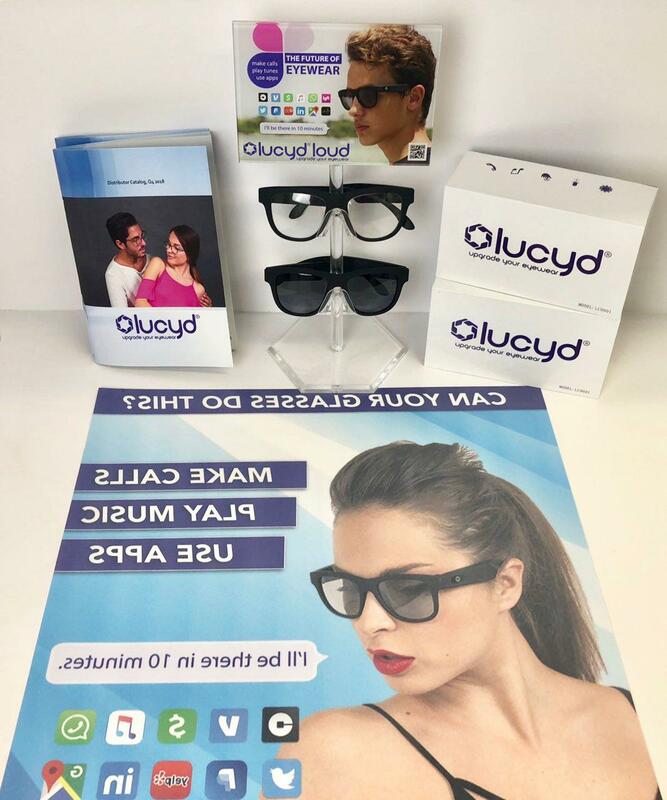 It is geared toward helping shops and affiliates sell Lucyd frames in person.